Class #6 is at a different LOCATION, and different TIME. Make sure that you don't miss us, for more details and RSVP go to the Meetup site. We will move on to start building the vocabulary from Class #6, however, practice of Pinyin and Tones will continue throughout our study. THAHKS, Andrew and Cari, for reserving the space! We will focus on initial "b", combining it with all different finals. Also we will listen to the instant immersion CD1, track 8 and 9 (four syllable expressions). 2) Review of Numbers 0~10. 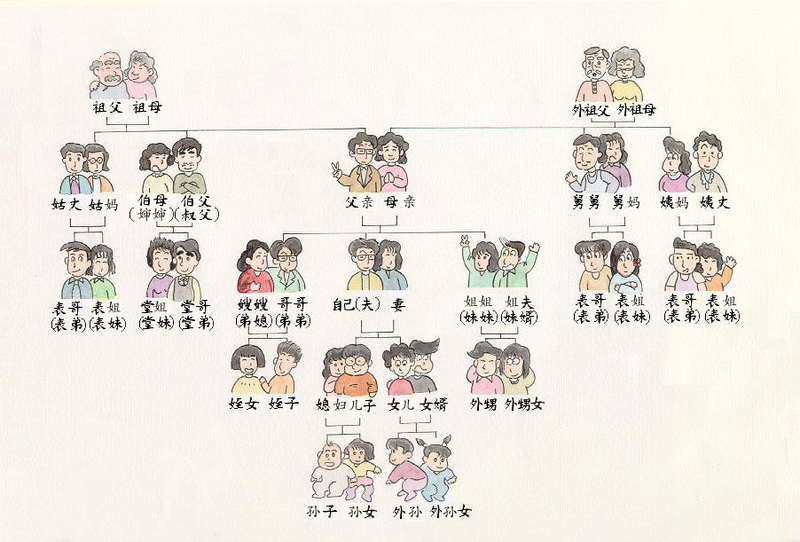 3) Topic of the class - Family or 家 (jiā). 2) Sound Chart, if you don't have it from last class, go to Class 5 and find the file there. 3) Flash cards for family - page 1 and page 2 for the class, just print the pdf file and if you want to turn them into flash cards later, you can cut them after the class.